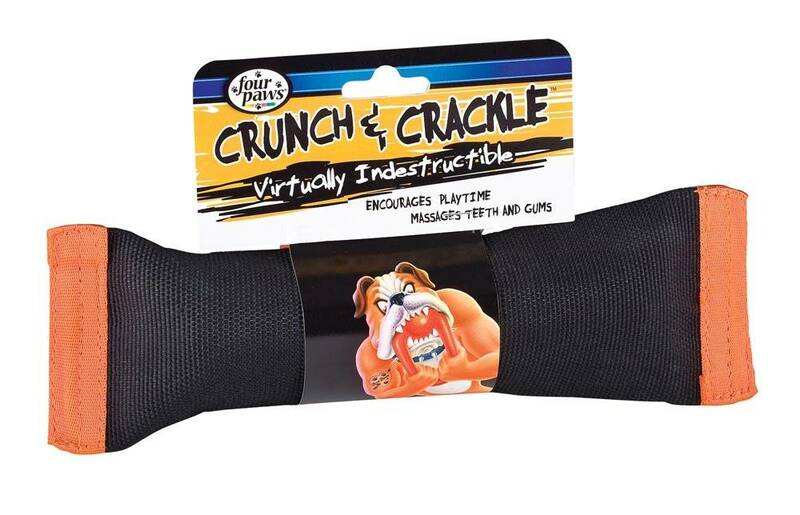 A unique, virtually indestructible chew toy that encourages chewing and helps massage teeth and gums. Built with new and improved fire hose material. Crunching and crackling noises along with a bell inside will keep dogs entertained for hours!